Hurry! Register your perfect domain TLD this euro season 2016 at eUKhost and start your online journey with managed web hosting and 24x7x365 support at any point of time. 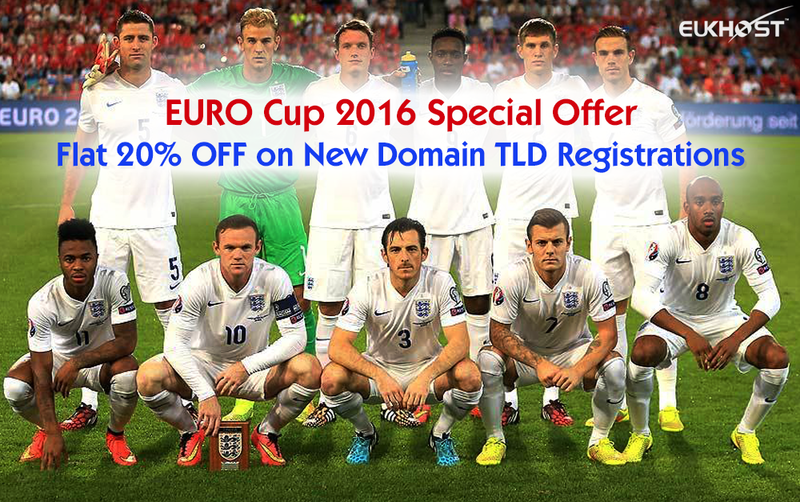 New Domain flat 20% OFF domain registrations Offer is valid Until 30 June 2016. Last edited by Asher Ross; 14-06-2016, 11:47.
eUKhost LTD : 13 Years Of Web Hosting Excellence !!! eNlight Cloud Server Hosting Services : World's no.1 Intelligent Cloud Hosting Platform.